The hunt for Willies Cacao is over! Since watching the brilliant program on Channel 4 charting Willie Harcourt-Cooze I have so wanted to try his 100% Pure Cacao. Before I stopped having sugar, I really liked 85% chocolate and when I found out that 100% chocolate existed I had to try it. There are a few 100% chocolate makes in the market place. Hotel Chocolate have a 100% bar, very thin, tastes great but can be a bit more bitter compared to other varities I have tried. I manged to find Willies Cacao in the cake ingredient section in Cambridge Waitrose whilst visiting a relative. And now I have in my hands the infamous golden tube of cacao. Before I got it home I had a sneaky taste… mmmm. I was so excited felt like a kid on Christmas morning. So how does Willie’s Cacao taste… well as it says on the packet “Grate in Food.. Grate on Food”. So thats exactly what I did heated up some soya milk and grated in a load of Willies Cacao (Peruvian Black). It’s got a bit of a kick to it, gives a great texture to the milk and is in fact very filling. So now I just need to come up with some proper Free From recipes to try out Willies 100% Cacao in. 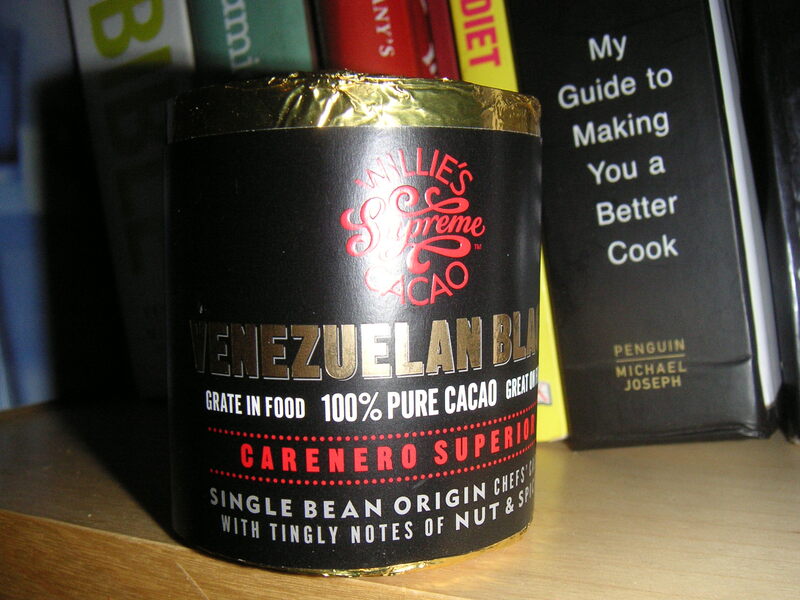 You may note that the picture is of Venezuelan Blak Cacao and I refer to the Peruvian Black Cacao. Well I got a bit carried away and got both types. When I have a taste I will let you know how it goes. Do you know they also sell it in Kenilworth Waitrose? £5.99 a block so definitely a special treat but you’ll save petrol by not travelling all the way to Cambridge for it!!! …and its in Selfridges, Bull Ring, Birmingham although slightly more pricey at £7 a block but worth it for a special special treat! You guys are funny.. I just happened to be in Cambridge 🙂 so popped in to get some. 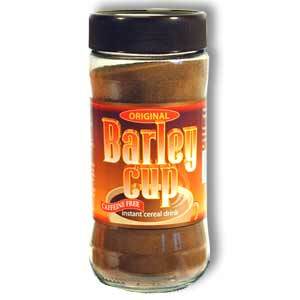 Can’t believe they sell it in Kenilworth! Tested a few recipes with the 100% Cacao but they need some refining so going to keep u hanging. If the new recipes are as good as the heavenly hot cacao in a cup then we’re in for a treat – its making me grin just thinking about it! Its stocking in most Waitrose stores around the country now. I work for Waitrose and it has been a huge success in the stores which currently stock it, and we will be looking to extend this to all stores in the near future. Just made some choc sauce using the peruvian black using the same quantities as normal choc and it blew our heads off! My 4 yr daughter is ahem- having trouble sleeping. Serious stuff!